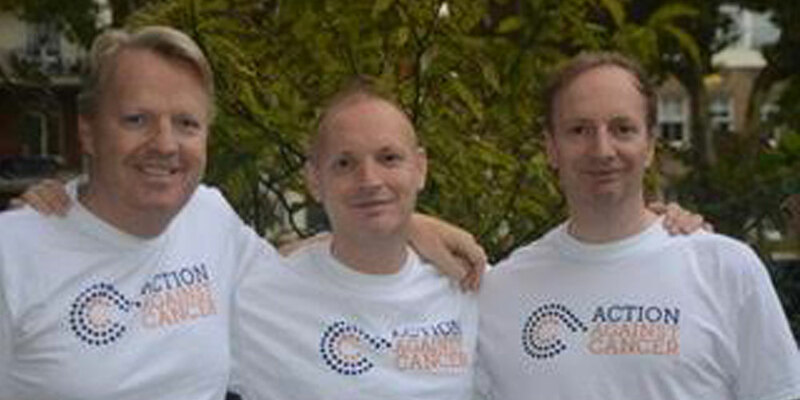 Much of the work that Action Against Cancer funds is led by Professor Justin Stebbing. We were thrilled when Justin told us he planned to run in his first half marathon raising funds for the charity! Along with his friends Chris Sharp and Rob Taylor, Justin completed the half marathon in good time. He has also done extremely well raising funds on his sponsorship page. This will remain open for a while, and so if you would like to add your support, you can do so here. In Justin's own words, "I did it! I completed my first ever half marathon in 2 hours 17 minutes. It was hard, tougher than I expected. What really kept me going was thinking of all of the wonderful messages on the fundraising page, and the unbelievable generosity of my friends. I am overwhelmed by everybody’s kindness, and want to say thank you very much, it means the world to me." 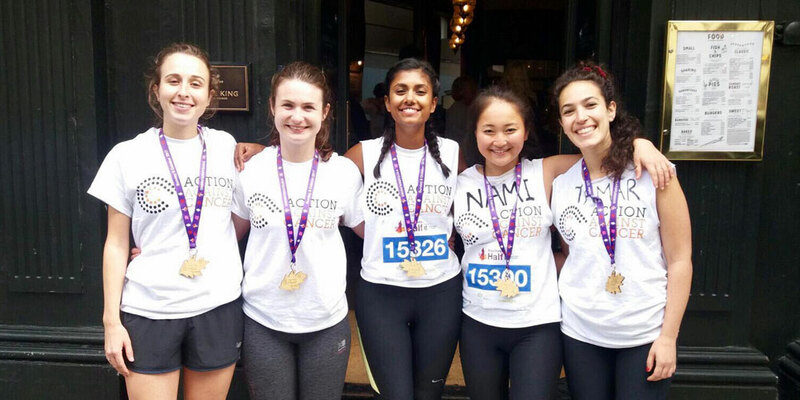 Also kindly taking part in this event for Action Against Cancer, running 21km through the beautiful royal parks of London, were another group of friends: Nami Urata; Emily Holton; Tamar Roth; Alice Matthews; and Leah Varughese. Enormous thanks to all of you, and to everyone who takes part in fundraising challenges for Action Against Cancer, we appreciate it so much.